Combine 1 cup of brandy with 1 tsp This Little Goat Went to India, infuse 2 days then fine strain with gold coffee filter or triple layered cheese cloth. In a pot heat and stir til sugar is dissolved and low simmer about 10 mins to reduce. Strain out spices and let cool down. 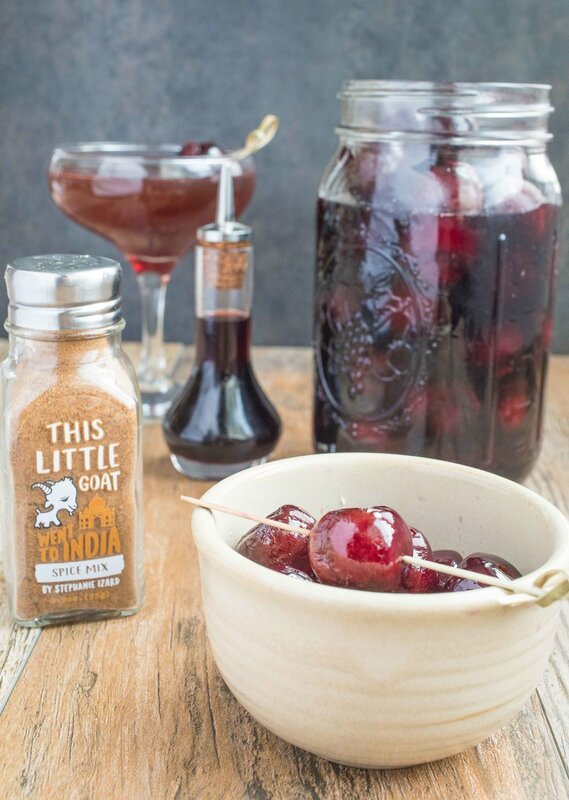 In a large mason jar combine cherries, 1 cup of brandy and fill to top with cherry syrup. Let sit at least 1 week before using. Cherries should keep for about a year if stored properly in fridge.